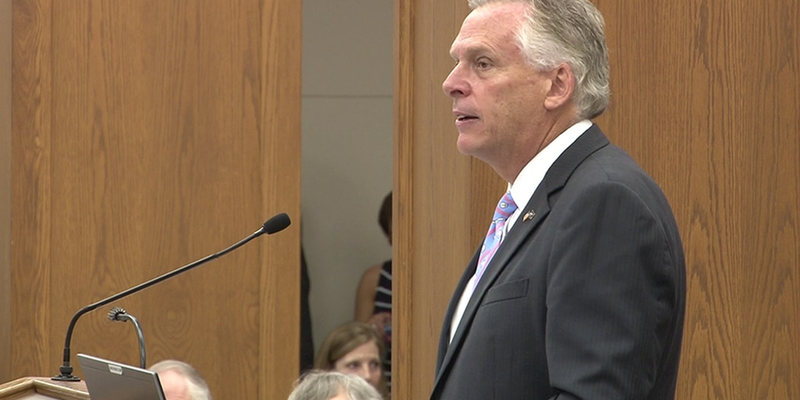 CHARLOTTESVILLE, VA (WWBT) - Governor Terry McAuliffe and two state lawmakers received a new civil rights award Sunday commemorating the struggle of UVA's first African American student and the efforts to promote racial equality. This is the second year for the Swanson Courage Award Ceremony in Charlottesville, where Gregory Swanson won his fight to integrate UVA in 1950 and subsequently enrolled in the university's law school. Two UVA Law alumni, Delegate Jennifer McClellan and State Senator Donald McEachin also accepted awards with McAuliffe. Members of the awrds committe say McEachin and McClellan are exemplars of the courage shown by Swanson, and McAuliffe has shown powerful moral courage in restoring the civil rights of thousands of disenfranchised men and women.